The culinary tradition of the Canary Islands differs a lot from the peninsular offer, because of its isolation. Also, the different visitors of the islands have influenced this gastronomic tradition. 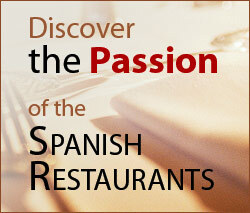 Just read on to discover a fine selection of Spanish restaurants in Tenerife. Tenerife is a Spanish island which is situated just off the Western coast of the North of Africa and is therefore blessed with fantastically hot weather and beautiful plant life. It has even been described by many as a tropical paradise and the majority of the land has remained untouched thanks to government intervention. Also, considering it is a relatively small island, there is a huge range of different elements in the landscape from sandy beaches, to thick jungles and mountains. The Spanish history of Tenerife is mostly unknown as it was populated by indigenous tribes long before it was taken over by the Spanish during the 15th Century. From then on, the island became a crucial trading post between Africa and Europe. Today, Tenerife is a buzzing island full of activity and is just as modern as it is historic and natural. Tenerife has become the showground of some of Spain's best modern architecture including the Auditorio de Tenerife which was designed by the Spanish architect, Santiago Calatrava. Surprisingly for a small island, there are a number of Spanish restaurants that offer a good range of Spanish food to suit every palate. Due to its tropical climate, vegetables and fruit can be grown nearly all year round and so they often feature heavily on menus at restaurants on the island. They also like to experiment with different herbs and spices in the dishes on Tenerife so you will definitely be in for a taste experience. They also serve many traditional Spanish dishes which are transported across from mainland Spain. The following list contains only the best Spanish restaurants in Tenerife, located in breathtaking settings and providing the visitor the freshest and most exquisite dishes. To know more about each one of them, make sure to check out their individual pages either by clicking on the name or by using the menu. El Embrujo Restaurant and La Lola Tapas Bar is a Spanish restaurant in Tenerife which specialises in serving a number of Spanish dishes from across the country, including a great selection of Spanish tapas. They also put on shows of live music and Flamenco dancing. El Patio restaurant in Tenerife can be found at the Abama Hotel on the island and is widely regarded as being one of the best restaurants in a hotel in Spain thanks to the head chef, Martín Berasategui. Martín Berasategui is one of the four Spanish chefs to have been awarded three Michelin stars - so far! The Meson el Monasterio is a gastronomic complex housed in an old monastery on the island of Tenerife. This complex is dedicated to the showcasing of fine Spanish food and drink from across the country. Here you can find a number of Spanish restaurants, bars and shops to enjoy. The Rancho Grande is a Spanish restaurant in Tenerife which serves a collection of food based on traditional Spanish and Canarian recipes but you can also find some German dishes on the menu. The restaurant also has its own bakery and patisseries which it uses to provide its breads and desserts for the restaurant as well as to sell in their shop. The Restaurant Coeur de Filet is a restaurant in Tenerife which, as it name suggests, mainly specialises in fillet steak dishes. The Spanish restaurant broadly cooks its food in a Mediterranean style, with a lot of influence from French cuisine; hence the French name.